In the early 2nd century the early Church held a document in very high regard. From this document we learn about the parents of the Blessed Virgin Mary and her own birth. 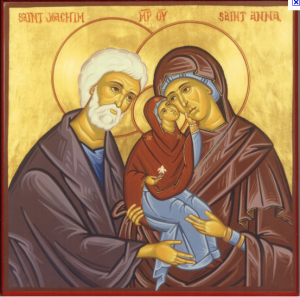 Since today is the Feast Day of Joachim and Anna, I thought I would provide a link to the Protoevangelium of James so you can read the fascinating story for yourself. Remember, this is from about 150 AD and was read in many churches in the early years. To join one of our pilgrimages, or to learn more, visit www.SteveGoes.com or call (800) 727-1999 and ask for Suzanne at extension 121.